Trains, I love trains. They fascinate me and stimulate my imagination of trips to far away places. Italy is a train lover’s delight. There are all kinds of trains, fast trains, slow trains, trains that stop in every little town and trains that connect just the major cities. There a commuter trains with little frills and the Eurostar trains with all the comforts of first class travel and there are sleeper trains. When I first arrived in Italy I would go to Stazione Centrale in Milan and watch the trains come and go. I was always content to transfer from one area to another because I could ride the train. 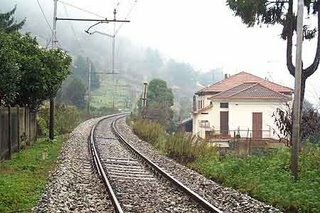 Italian trains cover most areas, have a fairly good on-time record, are cheaper than any other form of travel and if scheduled properly can be the perfect solution for travel in most of Europe. An example of scheduling is the trip between Rome and Milan. There is the Eurostar that makes the trip in about 4 hours. You can arrive in the center of Rome by 10:00 from Milan. If you catch the sleeper train that leaves from Milan at 11:00 pm you arrive in the center of Rome at 6:30 in the morning. Ready for a full day’s work and a return trip that night on the 11:00 sleeper to Milan. Trains run on a regular schedule covering most hours of the day however there are different types of trains. It is possible to take a later train and arrive at your destination several hours before another train that left before your train. 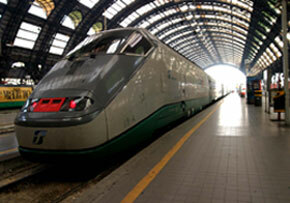 All in all, trains are the best way to travel inside of Italy and for the most part throughout Europe. No airport hassles, if you miss one train within an hour there is another going to the same place, you travel in comfort and no one tells to “stay seated and put away your computers or cell phone.” Should some unruly kid be creating problems the solution is to simply move to another seat or even another car. There are no tolls, no long lines, and no traffic jams. Best of all the trains leave and arrive in the city center, saving time, money and hassles when moving to the hotel or meeting place. Trenitalia provides complete information about the types of trains, their schedules and pricing information online. So sit back with your Prosecco or Tocai in hand and enjoy the scenery. I'd never have thought about writing about trains on my blog ... but how right you are! I've caught trains in a few European countries, including my own. They are definately the way to arrive for business. I even charge up my laptop and phone in the specially provided connection points! Prebooked seats too in the UK! Nice pics David! I love trains too, and I love travelling by train whenever possible. I have to say, though, the subway trains in Rome were a tight squeeze! Dianne Trains are sooo cool. You can prebook seats on the Italian trains also. They are the best way to travel. I decided to write about the trains because the train system here in the US has almost been eliminated over the past 30 years. With recent events trains are now a faster way to go but most people have never ridden a train so the article. Jennifer The metro is different than the (trains) FFSS system. Rome has 10 million or so people, most of whom use the metro at least twice a day... It can get crowded but at least there is the opportunity to use mass transit. Lucky you. The trains in the UK are rubbish. I regularly travel to scotland, and it is cheaper to hire a car than get the train. Went to London on a stag do recently, and it worked out cheaper for us all th hire a Limo for the entire evening. Trains should be a great form of travel, but unfortunatley in the UK they are expensive, late, overcrowded, and dirty. Real Shame. 80s The trains were not as good back in the 80s, no joking intended. After losing money for many years the government made a series of changes and hired a real manager to run the trains. He understood that quality pays and started to revamp the system. 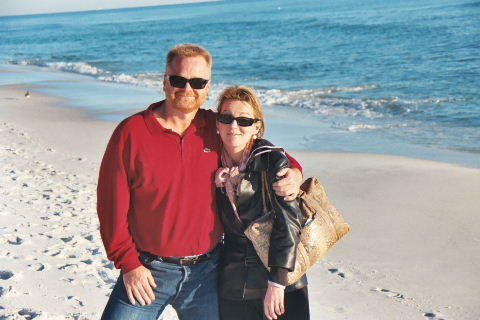 Today there are more top-notch travel services resulting in good occupancy numbers at a reasonable price. And egad! what did I do with my name?? One of these days, I really should learn to type. Jennifer So is it "f" or "ff"? One of the most difficult things for me in the first years was travelling on the metro or trams. People pushed up against you. Diving through closing doors, hanging on for dear life as the bus pulls away. After awhile I began to appreciate it. It saves time, you learn to travel outside of the heavy rush hours, it is extremely less costly and you do not have to worry about parking the car. I have for many years gone without owning a personal car. After removing money for taxi, bus, etc. it saves about 10k a yr.
Wow, that's pretty impressive to be able to get around completely without a car. I'm not sure I could do that unless I lived in the city, where all the public transport is on hand. Jennifer You read my mind. I have been seriously considering a Smart. I did not buy one when they were in Italy but it may be a good solution here! Obviously it would help if the mass transit here was actually designed to move people efficiently. I am not quite sure how they have designed it but it seems you have to drive somewhere to catch anything.